With the 2015-16 season about two months away, there’s some news and some rumors about players, reported by The Boston Hockey Blog. A few weeks after 2015 recruit class member Sean MacTavish told The Pipeline Show that the BU coaches were helping him find another situation, the former AJHL standout has now committed to Alaska-Anchorage. The other news is less definite. 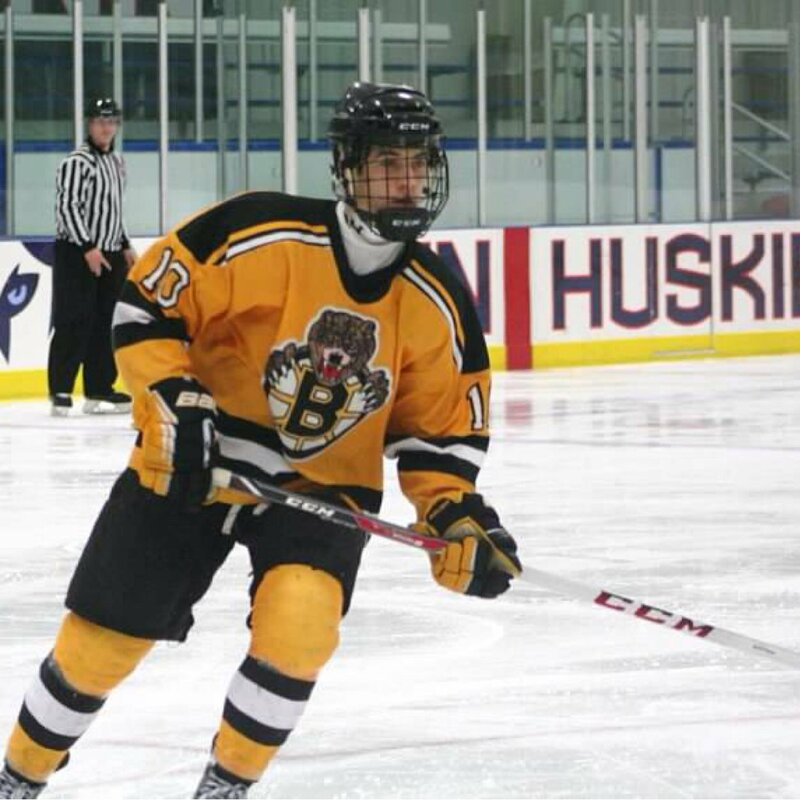 JJ Piccinich had been rumored to be returning to the USHL for next season and then heading back to BU. Now, other reports indicates he will—or has—signed with OHL London. Ryan Cloonan, a speedy, high-scoring wing for the Boston Junior Bruins, who had been tabbed for BU’s 2016 class, now may move up to the 2015 class, replacing MacTavish. We’ll update this story when more is known. 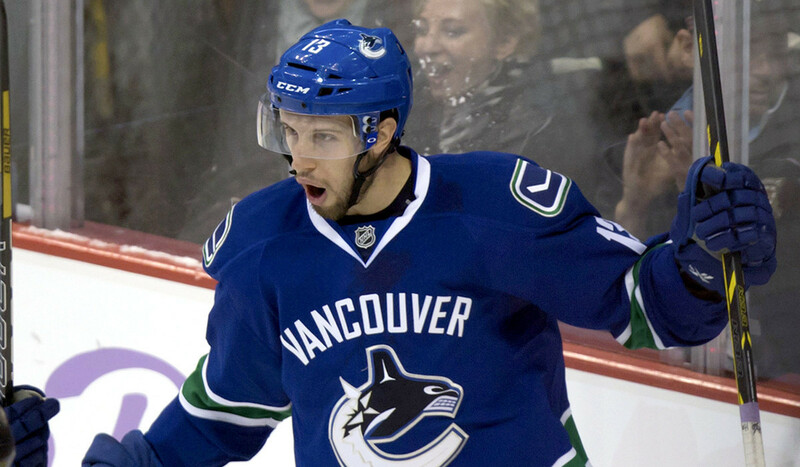 A pair of former Terrier teammates, who spent last season with Vancouver, Nick Bonino and Adam Clendening, were traded to the Pittsburgh Penguins. The pair joins David Warsofsky, a recent free-agent signee, on the Pittsburgh roster. Bonino, a 50-point scorer on BU's 2009 national championship team, spent the first five years of his NHL career with Anaheim before being traded to Vancouver last summer. (Bonino stats). The Penguins also have a BU presence in the front office. Former Terrier captain Mike Sullivan was named this summer as head coach of AHL affiliate Wilkes Barre/Scranton, succeeding John Hynes who took over the top job with the New Jersey Devils. In addition, Clark Donatelli will begin his fifth season with ECHL affiliate Wheeling. 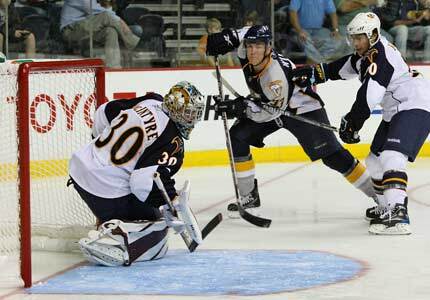 Terrier goalie Sean Maguire is a Penguins draft pick and participated in the team’s recent development camp. New contracts were announced for two BU standouts now in the NHL. Following a season that saw Colin Wilson rack up career highs in goals (20), points (42) and plus/minus (+19), Nashville rewarded the former Terrier All-American and Hobey Baker Award finalist with a four-year, $15.75 million contract. Wilson scored 90 points in two seasons as a Terrier, including 55 as a member of the 2009 national championship team. Former BU MVP Alex Chiasson was awarded a one-year, $1.2 milllion contract with Ottawa by the NHL Arbitrators. Chiasson, who had been acquired last summer from the Dallas Stars, scored 26 points last season for the Senators. He’ll be joined in training camp by BU goalie Matt O’Connor, who signed a multi-season, free agent deal with Ottawa, shortly after the end of last season. Ryan Ruikka, an assistant captain for BU’s 2012-13 squad, has signed a free-agent contract with the ECHL Wichita Thunder. He spent the past two seasons playing overseas. When a Bayonne, NJ, high school goalie lost all his equipment during a fire at his family’s home, the NJ Devils and new head coach John Hynes stepped up to keep the young netminder’s ice dreams alive.